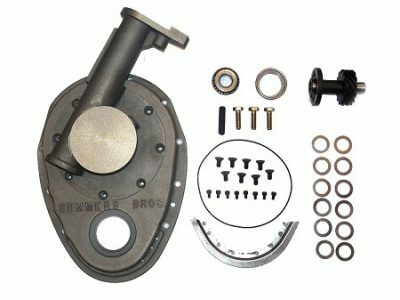 Small block gear drive aluminum, Chevrolet. Comes in gold anodize. 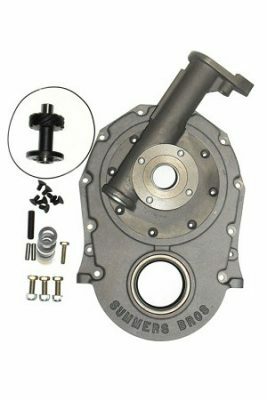 Summers Brothers gear drives for small-block and big-block Chevrolet V-8’s are the ultimate in precision cam timing. Their heat treated and case hardened gears eliminate timing chain stretch and harmonics. Camshaft and ignition timing remain accurate at all engine speeds–and that means more horsepower! 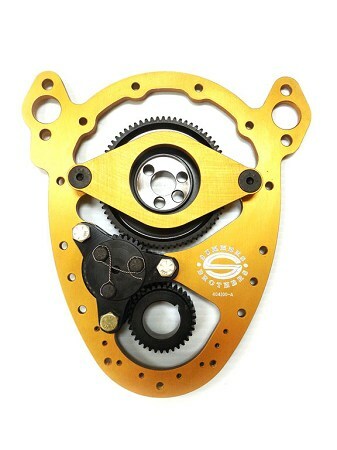 Serious engine builders can appreciate the advantage of the Summers gear drive system. Cam timing is infinitely variable to allow maximum performance to be obtained from any profile. Camshaft forward and rearward thrust is controlled with needle bearings–a critical feature when using mushroom tappet cams. 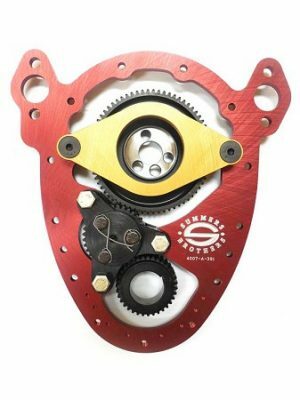 Summers Brothers gear drives fit under stock timing chain covers (big-block covers require minor modifications). Unlike other gear drives, reverse rotation camshafts are not required, thanks to the Summers three-gear system. On small-block Chevrolet’s, the cam and cam gear can be removed for inspection without dropping the oil pan.